Friendly reception,convenient location and postive overall experience, would recommend Hofgarten Appts any time! Slept well, good size room, quiet with windows closed. Initial impression that room was a charmless brown, but I enjoyed the stay. We had a very brief stay here (only one night) and we would have liked to stay longer. It is very handy for the city centre and the castle. The apartment was spacious and the beds comfortable. It was very straighforward to collect our keys when we arrived. Definitely recommend. Hostess was ontzettend aardig en de check-in verliep soepeltjes op afstand (sleutelkluisje). De kamer is ruim genoeg en het bed is ook lekker. Goede Wifi. Lekker om een klein keukentje te hebben, volgende keer boodschappen zelf meenemen. Nous avons passé un agréable séjour dans le logement no 1 en RDC. Nous avons reçu un accueil chaleureux de la part de Heike, la gérante, qui parle couramment anglais. Elle était disponible et à l'écoute de chacune de nos questions. Le logement est parfaitement conforme à la description de la réservation. Il est propre et fonctionnel. Idéal pour trois personnes. À proximité de tout à pied : City Galerie, centre ville, parc Schöntal. Il est très calme aussi. Unkomplizierter Check In, da die Handynummer der Besitzerin an der Haustür steht und man so ganz bequem an den Schlüssel für das Appartment kommt. Sehr nette Frau! Die Zimmer sind frisch renoviert und die Dusche ist sehr geräumig. Die kleine Kochzeile hat alles um eine Mahlzeit zuzubereiten und ein Verbrauchermarkt ist nur ein paar Minuten entfernt. Da die Stadt nicht sehr groß ist, erreicht man die Innenstadt in wenigen Minuten. Der Check-in ist problemlos. Nach einem Anruf wurde sofort die Tür geöffnet und mir Etage und Zimmer mitgeteilt wo ich empfangen wurde. Zu meiner Verwunderung konnte ich auch Barzahlung wählen, ein mobiles Kartenlesegerät hatte man dabei. Wir hatten das Zimmer mit Blick zum begrünten Hof. Dadurch war es trotz zentraler Lage sehr ruhig. Rauhallinen kerrostalohuone, ystävällinen ja reipas emäntä. Mukava ravintola aivan vieressä, jota ystävällinen pariskunta piti. Suosittelen. Lock in a great price for Hofgarten Apartments – rated 8.4 by recent guests! 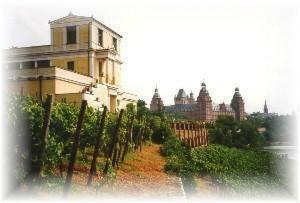 The Hofgarten Apartments are located in central Aschaffenburg, just 650 feet from Schöntal Park. It provides well-equipped apartments, private parking spaces, and good public transport links. 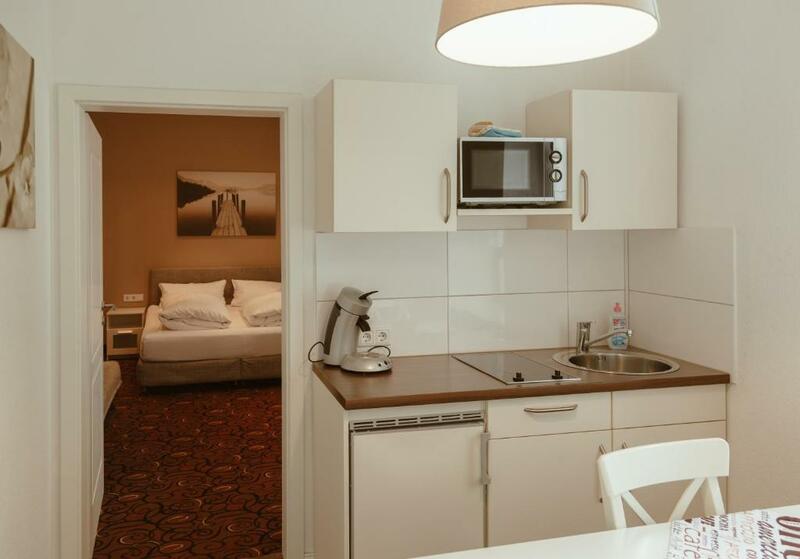 All of the Hofgarten’s Apartments have a fully-equipped kitchen, a coffee machine and digital TV. Wi-Fi internet access is also included. There are a number of restaurants, cafés and bakeries within a 10-minute walk of the accommodations. A bus stop can be found next to the Hofgarten Apartments, and the A3 motorway is just a 5-minute drive away. Aschaffenburg Train Station is 1,000 feet from the Hofgarten. 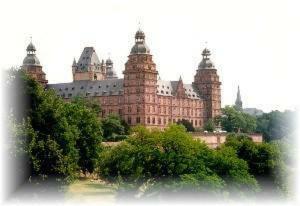 This property is also rated for the best value in Aschaffenburg! Guests are getting more for their money when compared to other properties in this city. When would you like to stay at Hofgarten Apartments? This apartment features a seating area with flat-screen TV and a kitchenette with dining area. House Rules Hofgarten Apartments takes special requests – add in the next step! Hofgarten Apartments accepts these cards and reserves the right to temporarily hold an amount prior to arrival. 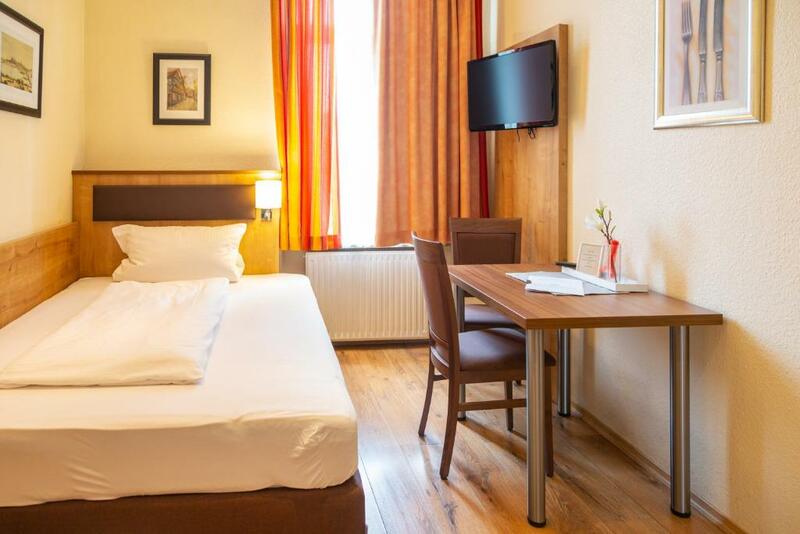 Guests intending to arrive after 22:00 are asked to contact Hofgarten Apartments in advance. Please inform Hofgarten Apartments of your expected arrival time in advance. You can use the Special Requests box when booking, or contact the property directly using the contact details in your confirmation. Wifi was only able to hook to one device. This was not clear at the start.. pc for work tablet for pleasure was not possible. Bathroom has seen better days. Clean but a bit old.